The much-flaunted liquor ban imposed by chief minister Nitish Kumar in Bihar has once again become a laughing stock. 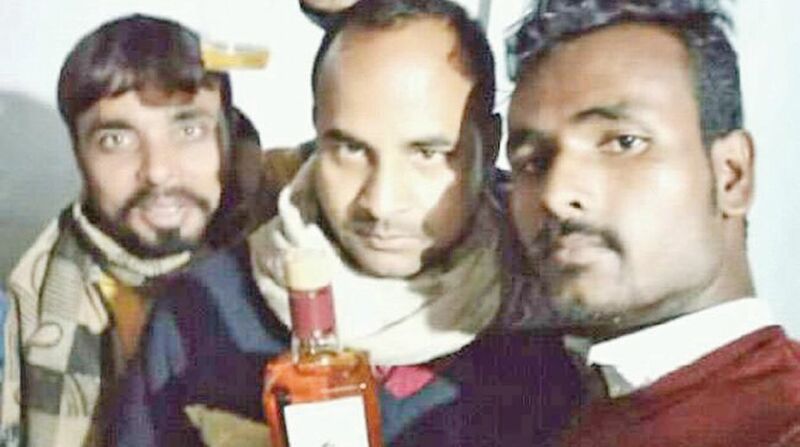 Days after the chief minister was caught on camera sharing the same sofa with a liquor mafia at the CM House, a selfie of JD-U leader with liquor bottle has gone viral on the social media. Efforts are on to arrest the leader. 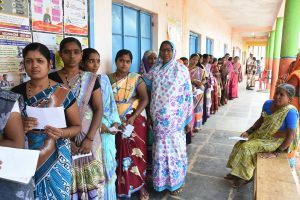 As per reports, the JD-U leader, Raj Kumar Thakur, who also happens to be mukhia of Rasulpur panchayat under Darauda block in Siwan district, had organised a party for his supporters on New Year day, in which liquor was also served. According to reports, the mukhia lost control after consuming a few pegs of liquor and posted his selfie with the bottle on the social media which went viral. In due course, the selfie also reached the WhatsApp number of the local police inspector, who taking the matter seriously registered a case against the mukhia and his men. The police are now conducting raids to nab the absconding accused persons. Meanwhile, JD-U has dismissed the leader from the party for violating prohibition. This is the second time in quick succession that the JD-U leadership has come under fire for publicly violating the law. Earlier in October, the chief minister was caught on camera with a liquor mafia in his 1, Anne Marg official residence in Patna. In further embarrassment to the chief minister, the said liquor mafia, identified as Rakesh Singh, later turned out to be the party’s block president. Visibly embarrassed over the incident, the JD-U later expelled Singh from the party.